Purchasing a ceiling fan for your child (or children) does not have to be a difficult process. If you visit your local retail store, you may find that there are not that many children's ceiling fans available. 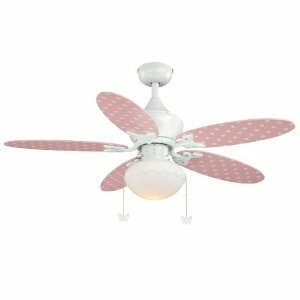 This is generally the case because children's ceiling fans and kid's ceiling fans are not purchased as often as other more traditional types or styles of fans, so the retail store usually does not stock as many. This is how supply and demand works. Because of this, browsing for a child's ceiling fan can be difficult when going to a retail location. To counteract this, it's much easier to browse online for a ceiling fan. Ceiling Fans 'N More is an excellent resource when browsing online. 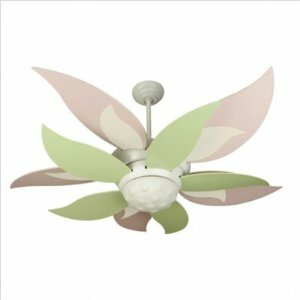 Not only do we have many different types of children's ceiling fans, but we also have replacement parts available as well, for when you have a part go on your fan. Common parts to need replacement are pullchains, switches, dimmers, blades, etc. When looking for a replacement part, be sure to use our website as well. If you cannot find the part you need, simply send us an e-mail and we will be happy to search for the part you need in our database. When the part becomes available, we will add it to the website! You can also use our forums and post a request for what you are looking for. We will respond to your forum post and do our best to get what you need added to the website.